Warner Bros. is hooked on a feeling as Deadline reports that the studio has hired to James Gunn to write and possibly direct the sequel to Suicide Squad. Disney fired the director of the Marvel Cinematic Universe movies Guardians of the Galaxy and Guardians of the Galaxy vol. 2 in July amid much controversy over his past. Warner Bros. has apparently been eager to work with Gunn, and after talks with Warrior director Gavin O’Connor fell through, they turned to him for the next supervillains-gone-good(ish) go-round. In addition to the Guardians movies, Gunn has directed horror film Slither and superhero spoof Super. 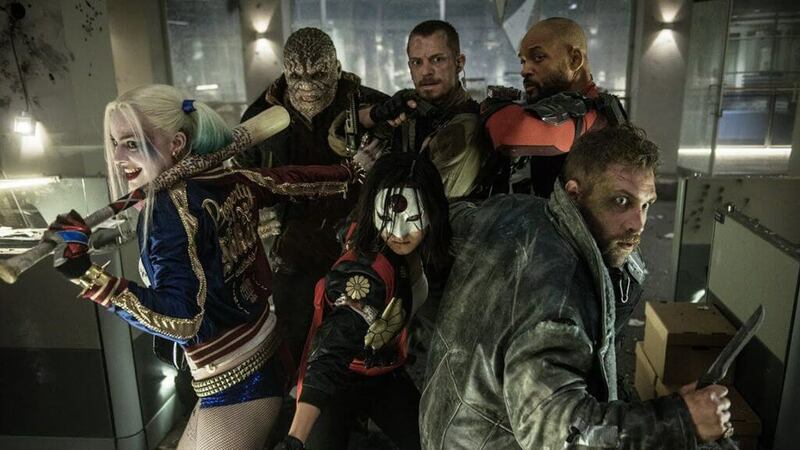 Will Smith, Margot Robbie and Jared Leto are expected to return for the Suicide Squad sequel; Robbie’s Harley Quinn will next be seen in Birds of Prey, due out on February 7, 2020, while a different version of the Joker will be featured in Todd Phillips’ Joker, hitting theaters on October 4, 2019. There is no word on when the next Suicide Squad movie will be released, but it should begin filming in late 2019. With the amount of support shown to James Gunn after his dismissal from Disney and Marvel, plus the success of the Guardians movies, it isn’t surprising he’s landed a high-profile gig fairly quickly. The way the Gunn situation has been presented in the media thoroughly disgusts me; this late in the game, the fake news that his only crime was a series of ill-conceived tweets continues to be reported by entertainment journalists, so the narrative is “poor James Gunn.” (Even if this were the case, his conduct when others were faced with similar predicaments would remove any shred of sympathy I might’ve had for him.) Aside from that mess, his involvement with a Suicide Squad sequel isn’t a bad thing in terms of quality; I’m sure he’s more than capable of making a decent movie out of the concept. Whether Warner Bros. actually lets him is another story; they took Suicide Squad from David Ayer and gave the final cut to the company who edited the movie’s trailer. Who’s to say Gunn won’t have the sequel taken from him and handed to the craft services people? At least Michael Rooker and/or Nathan Fillion might show up. Are you glad James Gunn will be involved with the next Suicide Squad movie? Do you think he’ll be given the freedom to make something good? Will he at least get to put the soundtrack together? Let us know in the comments and stay tuned to Geeks + Gamers for more movie news and reviews!